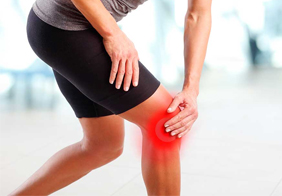 Our clinic is one of the pioneer pain management service providers in India. Started in 2001, we are one of the most advanced clinics using latest technologies. 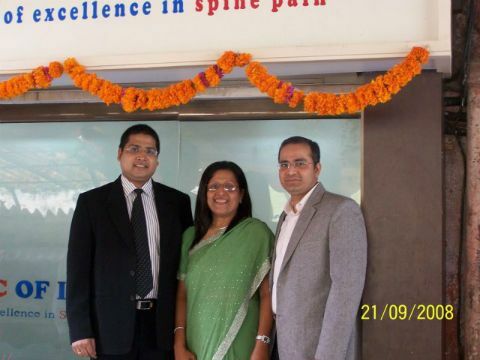 Our Pain Specialist Dr. Kailash Kothari is renowned globally for his contribution in India and abroad. 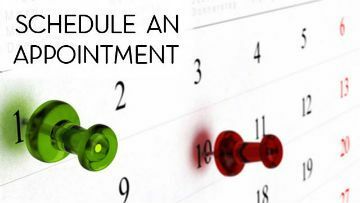 Sometimes, but it can take time to check with your insurance carrier and secure authorization before scheduling the procedure. About 22 years back, one fine day my mother who is now 71 years old experienced an electrical pain in her right side of face. The pain was for less than a minute but intensity was unbearable. She shouted and the very next moment she was normal. It happened once in a day initially, at around 10 a.m.
We went to doctors, perhaps many doctors practicing allopath, homeopath and ayurveda diagnosing it as sinus pain, cold related etc. However, to our dismay, the actual problem could not be diagnosed. And since the pain use to come once in a while we too didn’t pay much attention as well. 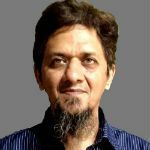 In 2004, when I came to Pune for studies, the intensity and severity of pain has increased. So we went to ENT specialist who first time referred a medicine Tegritol. It became my mammas’ favourite medicine as she used to get relieved from the pain in no time. By 2008, even tegritol at higher dose was not sufficient, and we were suggested MRI. 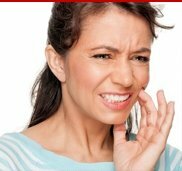 MRI reports showed the problem of trigeminal neuralgia. So I went to a neurosurgeon at Nagpur. 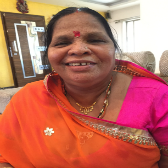 Mumma underwent micro vascular decompression surgery (MVD). The drug, Zenoxa at lower concentration was continued after surgery and mumma was quite okay. In 2013, her pain again aggravated, so higher dose of Zenoxa (600 mg, b.d.) and also Gabapin (100 mg) were recommended. By now Gabapin was my mothers’ favorite pain reliever and was recommended when pain aggravates. Recently, in September, 2018, she started complaining of severe pain again in the right side. Unable to sleep, eat or even talk. Her miracle medicines were not helping her. Then, I met doctor at Apollo, understanding her age, suggested me to undergo a noninvasive treatment of Radio frequency thermo-ablation by Dr. Kothari. 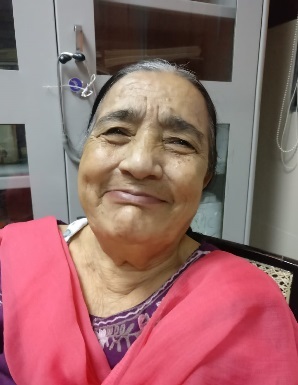 Due to the medical facility provided at my institute, I took second opinion from BARC, and was suggested for MVD, surgery again, as she does not have any blood pressure or diabetes problem. My first thought - An invasive surgery! But maybe mumma will be relieved from the pain. Although she was reluctant, I convinced her. We got her MVD done at Mumbai. She was feeling good, with a little complain of pain near her right jaws. She was discharged home and I felt relaxed. But after a week her pain came back with high force and torture. Even doctor who operated her was concerned about her pain. I can't begin to express, in words, the amazing experience we had with Dr. Kailash Kothari. In short, it was a "God Sent Blessing". My mother, who has a degenerated disc and was in pain for the past few years, suddenly became incapacitated and couldn't get up from the bed. 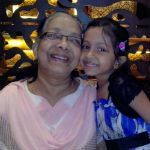 Upon contacting Dr. Kothari, he performed a cortico-steriod injection and post that procedure, mentioned that it appeared that my mother had two compressed fractured vertebrae. Since we were definite that we didn't want to proceed with a invasive Surgery, he recommended the "Vertebroplasty". 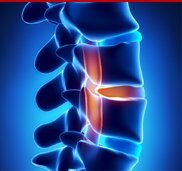 It is, to put in in layman's terms, "Super Glue / Fevicol for the Spine" and we cautiously and optimistically proceeded with the line of treatment. It was truly a miracle that got performed in the hands of a such a capable Doctor, Dr. Kothari. She was able to get up in an hour after the surgery (prior to which she has been on bed for the past 10 days). In about a weeks time after the procedure, I'd like to mention that,my mother has progressed from just sitting / walking with a walker / walking with assistance of a the house-help / freely walking without any assistance on her own. Dr. Kothari has been very accessible during and after the treatment. 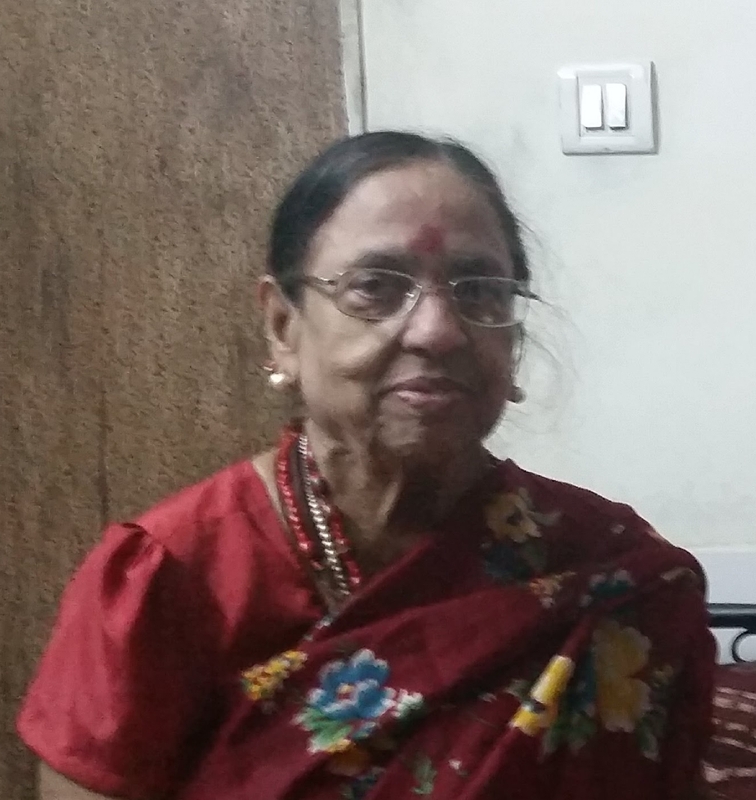 I'd like to thank Dr. Kothari from the bottom of my heart for the new lease of self sustaining and independent life that was presented to my mother. My both legs having swelling as well as both legs having more pain. I can't even sit down. After consulting with Dr. Prakash, now I feel better and my leg pain has been removed. Dr. Prakash has suggested PRP treatment and we've done it. After PRP treatment I actually feel better. Now, I can walk without pain. I can upstairs & downstairs without support. I would like to thank Dr. Prakahs for his consultation. I Mrs. Maria Gretta D Souza had problem in both my knee’s but left side was too much unbearable at times. My Ortho friends told me to go on as long as I can but ultimately I have to undergo knee replacement. At this time one of my Dr friend who recommended me to Dr. Kailash Kothari’s pain management. I thought of trying this on my left knee which had more degeneration problem and met Dr. Kailash Kothari at his clinic and started the treatment (Platelet rich plasma injection). In 3 treatments my knee pain has gone at least 90%. My ankle which used to swell the swelling is gone and I am able to walk properly without pain. All thanks to Dr.Kailash Kothari and his team. If I can be healed with so much of problem any one can why simply go for knee replacement when you can avoid it. 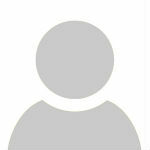 I am Mrs Pallavi Nagvenkar. 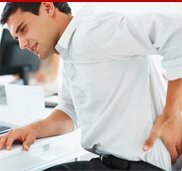 I was suffering from low back pain since few years. I used to get this pain while doing heavy work , lifting activities . I could not sleep at night due to pain . I tried many types of treatment but without much relief . I met a lady in temple who told me about Dr. Nevagi at RedkarResearch Centre , Dhargal and I visited him . Dr. Venkatesh Nevagi has treated me with interventional therapy i.e Transforaminal Epidural Injection followed by physiotherapy and now I am fine and can do my routine work without pain. Thank You. मी पल्लवी नागवेकर. माझ्या कमरेत रोज दुखत असे. कळत न कळत वजनदार काम केल्याने खूप त्रास होत होता. रात्रीची झोप लागत नव्हती. दिवसभर काम केल्यावर झोपण्यासाठी गेले कि डोळ्याला डोळा लागत नव्हता. खूप औषधे घेतली पण बरे वाटत नव्हते. अशीच मंदिरात एक बाई भेटली. तिने मला सांगितले कि रिसर्च सेंटर मध्ये डॉक्टर नेवगी आहेत त्यांना भेट. नेवागी डॉक्टरांच्या औषधा मुळे मी बरे झाले आणि आराम वाटला. कामाचा त्रास पण होत नाही. I Mr. Balusingh Gopal Bhai Purohit male 45 years reciding at Ahmedabad. I was having headache problems from last 6 years, And I approach many doctors in Ahmedabad to relieve my pain but there was no improvement. I had taken so many medicine as per the doctors prescribed me. 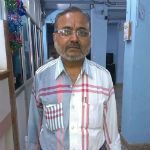 At the end, I approach to Neruosurgeon at Ahmedabad she suggested me for the surgery.Then I Approach to purohit Hospital to Dr. Mahesh Purohit in the month of June 2017. I explained everything about my pain. Dr. purohit and Dr. Prakash Deshmukh from the pain management they saw my file and practically they checked me and advise for MRI cervical spine and x-ray. After seeing the report Dr. Mahesh Purohit and Dr. Prakash Deshmukh come to the Conclusion that we will treat you Without surgery. They have given me injection at that spot of pain me in my nerve route. After that I am completely alright, feeling better and there is no complaint for the pain. I am very thankful to Dr. Mahesh Purohit and Dr. Prakash Deshmukh. Compliant of Pain is cervical region since 6 Months MRI : Shows C6 – C7 disc prolapse.I have taken treatment at pain clinic of India Kalyan branch ---- I received epidural injection 1 Month back. Now pain has reduced above 70 %, now only exercises will settle pain completely. I am satisfied with epidural injection. I was suffering from lower back pain and couldn't seat even for 10 minutes. After examining me in depth by performing MRI procedure and a small injection in the back called transforaminal, I had 50% of relief in just 20 days. And now after 1 month I'm having 80% of relief and still my treatment is going on. मी कंबर दुखीन खूप त्रस्त होते. मला 10 मिनीटे सुद्धा बसता येत नव्हते. 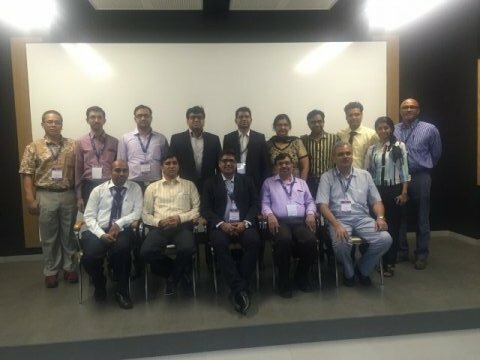 सरांनी MRI केल्यावर पाठीच्या मणक्यावर ईंजेक्शन दिल्यावर मला 20 दिवसात 50% फरक पडला आहे व आता मला 1 महिन्यानंतर 80% फरक जाणवतो आहे व अजून माझी ट्रिटमेंट चालू आहे. I am 60 years old. I had severe back pain since last 3 years and increased in severity in last 6 months. In last few weeks I was unable to sit, walk or stand for more than 2 minutes. I visited orthopedics, neurosurgeons, Physiotherapists, bone setters, Ayurvedic and other many doctors who tried everything but to no relief. Many suggested that I need to undergo major spine surgery to fix the problem. I was really afraid as I heard many failures of the surgery in my close relatives and friends. My family was also against surgery. But due to pain the life has become very sad. I didn't wanted to live. One day my son found pain clinic of India in internet and he contacted them. He spoke to Dr Kailash Kothari and fixed an appointment for me. I took all my recent reports with me. After EXAMINING ME IN DEPTH (no one examined me before this, everyone just looked at MRI) and looking at my MRI he said the problem can be solved without surgery and with a small injection in the back called tans foraminal epidural. Since we stay far from his clinic, and I was brought in ambulance, it was impossible for us to come back for injection. He said since all blood tests are fine and injection is a day care procedure, he can do it immediately. We were more than happy to go for that. I took the injection done by dr kothari under X-ray guidance. To my surprise when I got up from OT table, I would feel 70% relief in my back and legs, I could wear my cloths standing immediately post injection (which was impossible before). It was huge difference. He suggested to take one more injection after 3 weeks if pain remains. Since I had 70% relief so I took second injection. It just changed my life. Now I am pain free and almost 3 years since then I am still doing good without any damn pain. Hare Krishna! On 15-Dec-16, I had difficulty to walk and stand which I ignored and later I had trouble bending my knee. But I ignored and went on. The next day I contiuned distributing pamphlets and the knee pain only increased So I purchased knee ointment thinking this would relieve my pain. Next day morning I had oversee Newspaper insertions I was barely able to walk and my knee had swollen. I rushed to the Residency and took rest and immediately went to physiothreapist. Momentarily, I got rid of the pain and felt better by the treatment. On Physiothearpist advice I got X-ray of my Right knee, later in report it indicated there was patellar spur. I was take complete bedrest, use crutches. Thanks to my Boss, I took bed rest. and my nature of job was changed to calling. But since I was not able to dance infront Lord Gaura-Nitai, I was very unhappy. The swelling had gone but I was not able to walk normally even in late January. I was disgusted with physiotherapist and Orthopaedic because each had a different version for my case and everyone was hinting Surgery or Ligament Repair. I got an MRI done of my Right Knee on 6-Feb-17. And MRI Report said, Vertical tear in Anterior Cruciate Ligament(ACL) and meniscus tear. I did not want surgery. I searched on Internet and consulted many doctors online. One of the doctors suggested PRP. But he was in Delhi. Hence I searched for PRP in Mumbai and later I contacted Pain Clinic of India. And Dr.Kothari suggested two therapies Dextrose Prolotherapy and Platelet Rich Plasma injections(PRP). Since I follow Srila Prabhupada, I wanted to be sure that any therapy administered to me was purely vegetarian and Dr. Kothari assured me that Dextrose was 100% vegetarian. I took 12%, 18%, 25% and 25% of Dextrose respectively from 12-Feb-17, 6-Mar-17, 27-Mar-17 and 11-May-17. And parallely I underwent Physiotherapy treatment and INTERFERENCE Therapy, I could see the difference and I was able to walk normally. Though there is slight pain, while climbing stairs, I am far better than what I was on 16-Dec-16. I especially thank Dextrose Prolotherapy, Dr.Kailash Kothari and all the treatments which helped me heal. 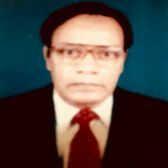 I am 70 Year old & pathologist by profession. I had a pyogenic arthritis of hip joint at the age of 14 years. Post surgery hip was fused & by the age of 20 I had shortening of the leg by four inches. At the age of 27 I started getting pain in lumbar region which was progressive. All lumbar spine movements were gradually reduced by the age of 60. Pain and spasm were severe. I could not stand and walk for more than few minutes. No surgery was indicated and was advised pain management. Physiotherapy also did not help much. Facet block gave a temporary relief and confirmed facet joint arthropathy. 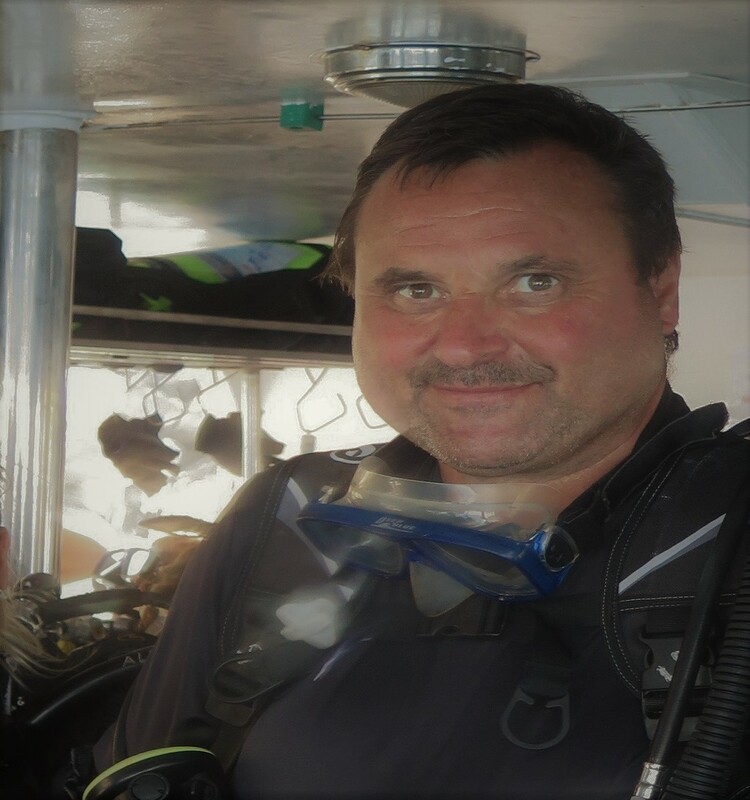 Subsequently radio frequency was done which gave me relief for a year. Since then practically every year I have been undergoing radio frequency treatment. This treatment gives me a relief for about a year. Procedure is not very painful. Post procedure pain lasts for about two to seven days. There is no side effect of the procedure. I am very happy with the treatment and there is no hesitation in recommending the same whenever it is indicated. Treated in March 2017. 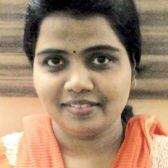 My name is Asha Gaikwad. I underwent surgery for my left lung bullae removal. After surgery I suffered severe nerve pain which was shooting from back to the front of the chest and abdomen.My surgeon gave me many medicines but all failed. My life was horrible and I wanted to die rather than suffering so much. My surgeon then referred me to Dr. Kailash Kothari at Pain clinic of India. I went there with only one aim - to become painfree. The clinic was very calming and there was no waiting. During the first consultation Dr. Kothari explained me all about neuralgic pain and how he is planning to manage my case. I felt so much relieved by his knowledge about my condition. He explained me that these kind of complications post thoracic surgery are common and can be managed. He started medicines for me and advised some blood tests, he performed pain management procedure called thoracic epidural injection of steroid. My pain reduced by 80% within 3 weeks. In subsequent visits he identified some muscle pains and given trigger point injection there. Now I feel almost 90% better. I am so much thankful to my surgeon and god that my pain is gone now. I am thankful to the team of Dr kothari for curing me. 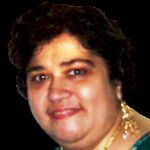 In October 2015, my mother Mrs Stella Noronha, aged 66 was diagnosed with liver cancer (stage 4) with a metastasis growth in the form of a tumour around her right hip region spread across the right pelvis. The oncologists had stated that she would not live for more than 6 to 9 months. The pain at this stage of cancer is enormous and we could sense that when she used to continuously cry out of pain in her right hip resulting in many a sleepless nights. 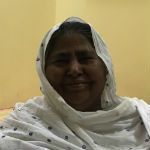 There is nothing we could do to save her and therefore out entire focus turned to palliative care and pain management and we were looking out of options that could give her relief from pain and improve her quality of life as long as she lived. The oncologists did suggest fentanyl patches however the extent of pain was much greater than what these patches could control. 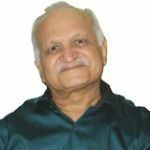 While searching for other options on the internet, I read about Dr. Kailash Kothari and his clinic, Pain Clinic of India. 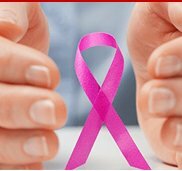 The website had detailed information about management of cancer related pain which based on my experience I can say that the oncologists may not necessarily be aware of. I visited Dr. Kailash Kothari and after looking at all the reports he suggested that we do a nerve block wherein after the procedure the pain causing nerves would no longer be able to relay pain and the effect could last for three to four months. The nerve block procedure was conducted on 12th October 2015 and today, i.e. after a little over two weeks, I see that the results are fantastic. Immediately after the process my mother was on a low dosage of oral morphine i.e. 5mg a day however that was required as the nerve block process to take full effect I was informed by Dr. Kothari that it may take about two weeks. She does not take morphine or any other kind of pain killers and still sleeps well without complaining of pain. She does complain of little pain when moved but not when she is stable. We did experience the side effects of fentanyl patches and oral morphine i.e. itchy feeling, rashes on the body, constantly being in semi-conscious state affecting appetite and acute constipation. However without these and with the nerve block process which now appears to have taken full effect, she is very comfortable as she sleeps well, is alert when awake, appetite is good, no other side effects such as rashes etc and motions are regular. It is sad that my mother will not live for long, however to see her comfortable as long as she does is a huge consolation. 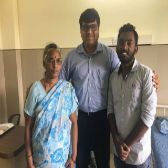 I feel extremely grateful to have met Dr. Kailash Kothari and wish to thank him for having recommended and conducted the procedure on my mother which has resulted in her having a much better quality of life. hello , I had knee injury in 2005 while playing cricket. It was in right knee. I always had pain in my knee but used to have painkillers. As time passed pain also aggravated. Slowly my knee started locking while doing daily chores. It was so embarrassing as it used to happen even in public places. Then I went for doing MRI of my right knee. Which showed grade 3 miniscule tear. Then my dad suggested me to consult Dr Kailas Kothari sir. Because he was the only person who relieved my dad out of pain. On Aug 31 I consulted him and he studied my MRI and suggested me "prolotherapy". And it's results are amazing. I can now walk for a long distance, can do daily chores normally and even there is strength in my knee and leg and most importantly there is no pain. This has become possible only because of one person, Dr Kailas Kothari and Pain Clinic India who have brought smile on face once again. I had been suffering from Trigeminal Neuralgia on the right side of my face since 2007-08. 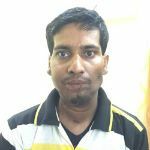 Since then i had tried a lot of things like acupressure, acupuncture, ayurvedic, homeopathic, Unani, innumerable Allopath physicians and consulted quite a few Neurologists.Â But there was no letting up from the Trigeminal Neuralgia. Fortunately for me, i came across Pain Clinic Of India at apollo spectra where they directed me to Dr. Kailash Kothari, MD. I Met the Doctor on 8th of August 2015 . He heard me very patiently, explained what are the procedures available that could be done, making me feel comfortable and assured. A procedure/surgery called RF ablation was fixed up for 10th of August. I must admit that this was one of the best decisions I took on the doctors assurance. The procedure involved injection under short general anesthesia which was very comfortable and painless. I was assured and comforted by PCI team right fromÂ pre operative time and also the post procedure/operative care.Â ( it was a short hospital stay till late noon/evening). I was free from the pain after the procedure. Â I recommend Dr. Kailash Kothari and team for pain management. I was suffering from very severe Low Back Pain (Scitica / Facet Joint) for around Five (5) years. I was given only painkillers by different doctors, I tried accupuncture but didn't help much & pain contiuned. 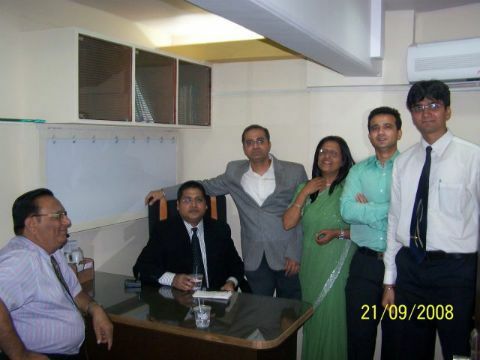 Then I came to know about Pain Clinic of India & Dr kailash Kothari Through A Family Friend. I underwent few investigations including MRI. He explained me what is the root cause of my pain. He was the first one to identify that something is a cause of pain. He told me that it’s my facet joint which is causing the pain. After Dr Kothari performed test injection I felt very good and subsequently he performed RadioFrequency Abalation Procedure, I found a lot of Relief. 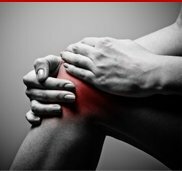 I had developed pain in my right knee due to early osteo-arthritis, my sister advised me to take advise from Dr Kothari. He treated me with medicine & explained me about treatment called Prolotherapy. I used to suffer form acute migraines for over 10 yrs.I had tried every possible treatment and medications.In fact some medications were also causing memory loss.Then i met Dr.kailash kothari in 2013 and he explained me about cervical headache originating from my neck. He first gave me a nerve block test injection over my neck which gave me instant relief.But within 2 weeks the pain was back .Then he recommended a radio frequency nerve ablation treatment .That treatment was the best thing that happened to me .No more medications and no more migraines. I only get my migraines before my periods now .But i'm not complaining ,since earlier i used to get it almost everyday.This treatment has truly been a blessing in my life.I am so much more energetic and lively and full of enthusiasm now.Life is very different when you no longer get migraine.Thank you doctor. I was detected with ankylosis spondilitis in 1994. I consulted many doctors but all said that there is neither cure nor treatment. Slowly I started bending from vest and had immense pain and my both shoulders were fixed and couldn't do any movement. At that time I came to know about Dr Kailas Kothari who was visiting Akola. So I consulted him and he studied my case and MRI, X RAY Reports suggested me about RFA (Radio Frequency Abilation). After 15 days he came from Mumbai along with his portable machine to Akola only for my sake. He treated my "lumbar spine facet joint" for nearly 3 hours. Because of the treatment my pain slowly reduced and my back bending was gone. Today also there is stiffness in my back but in past 6 years don't have any kind of severe pain. This all credit goes to Dr Kailas Kothari, because no doctor travels such long distance along with a portable machine for the sake of single patient. Also today even money can't cure anything. I really thank him for being very kind and gentle towards me. Hats of to Dr Kailas Kothari who is changing lifestyle and bring smile back once again. Being a cancer patient with stage IV Renal Cell Carcinoma (RCC) I had severe pain at various locations in my chest, upper back and lower back. 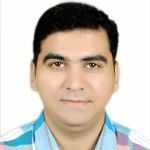 Thanks to Dr. Prakash Deshmukh ya pain clinic of India whose pain relief treatment has helped me to get relief from the unbearable pain and I was able to resume my daily household activities. Thanks to Dr. Deshmukh from bottom of my heart for the special NMS treatment which is a special machine that helped me to get relief from the pain in just 5 sittings. This seems to be a boon for patients who suffer from severe back pain or for that matter any kind of pain. Thank you doctor so much for the help in getting relief from my pain. I was suffering from severe back and leg pain with foot drop on left side. I was not fit for surgery due to cardiac problem. I came to know about Pain clinic of India through my employer. Dr. Kailash Kothari examined me and seen my all reports including MRI. He suggested me ozone discectomy with epidural injections at 2 levels. I was not sure if this will work for me. But as I was in bad pain and no choice left, I decided to go for it. After 8 days post the treatment I started feeling good pain relief in my back and legs, my foot drop also improved by 30%. I could walk much better. After 4 weeks he advised 2nd epidural injection and I took it. Now I am having good life at 6 months post injection and with very little pain. I am on occasional medicines for pain. I am very happy that I decided to go for pin management therapy at pain clinic.The Staff at Clinic is very supportive. I am very much overweight and have severe knee, back and shoulder pains. I was referred to pain clinic of India by one of my friend who took treatment here and felt very good. I was not able to walk or stand without support. My knee used to hurt a lot. Back and shoulder pain were comparatively less.Dr. Examined me and informed me that there is osteoarthritis of knee and pain is because of that. Dr. suggested me that I need to undergo prolotherapy to strengthen my knee and also it will help in regeneration of tissues. Since I was against surgery (as suggested by few doctors I met earlier) I happily agreed for the same. I took prolotherapy in both my knee. At 2 months post injection I am feeling almost 50% better. Hopefully with next 1-2 injection I will feel almost normal. I suggested this treatment to my relatives and friends. Posted By : Akash S.
I had cancer of tongue. which was operated and I have taken chemo and radiotherapy. my cancer is healed but I have lot of deformity of the face due to surgery. Now I have pain in the jaw, tongue and face including headache. It was very severe and I could not sleep at night for many months.I was referred to pain clinic by my cancer surgeon. I can actually say I had lost hopes of ever getting better with this pain over my back and on outer thigh (for many many years), as no one wanted to put that diagnosis of greater trochanter bursitis or treat it, but on coming to your clinic at Thane and the way you examined me it raised my hopes of getting better again. I was advised Si and greater trochanteric injections, and after discussion I chose to take Greater trochanter injection first. After the injection I feel at least 50% pain relief and hoping for some more by end of this week. It yet pains me at the buttocks area which you had examined but I am better over the lateral side of thigh so thanks to your team for making me better. 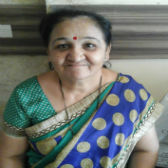 I Shobha Devidas Karapurkar residing in Malbhat, Margao, Goa. I was suffering from waist and leg pain, I can not stand too long and a lot of trouble in sitting down and specially while sleeping. I've been through many doctors around Goa, Manipal, Belgaum, Kolhapur. I spent money in lacs, but without any results. I took all my reports Ultrasound, Scanning, X-Ray, MRI as per doctor’s suggestions but no results. Since 25 years I was suffering from pain, I have to be admitted in the hospital multiple times. 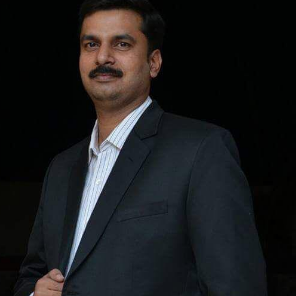 One day I was just passing by and I read Padma Spine & Pain Centre (Franchise of Pain Clinic Of India) Board, I immediately went to the Pain physician Dr. Venkatesh Nevagi (also known as Dr. Vicky) and shown all my reports. After checking me and my MRI reports he told me that I have bulged disc pressing on my nerves. I was surprised when I heard that because I had shown my reports to many doctors and they said that my all reports are normal. I decided to take my last chance by taking pain management treatment from this doctor. On 06/01/2016, doctor gave me diagnostic facet joint block and I felt very good, I then underwent RF ablation next day. After a week, he gave me physiotherapy treatment, and also showed me some exercises.I got relief within few days and felt very good. I found a great doctor at Pain Clinic Of India Pvt Ltd that’s why I am well now without having any operation. I am really thankful to him. 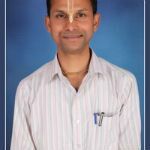 We pray God for Dr. Venkatesh nevagi to live long to serve the suffering people. We also thank to all staff of Pain Clinic Of India too.Thank you very much indeed. 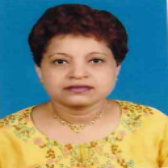 I Ramita Ramesh Harlankar, age 58 years, living at Borda, Margao. I was suffering from pain in the waist since 5 years. This time it was too bad. My waist hurts so much that I was not able to get up. My son took me to orthopedic and Joint surgeon. But I did not get any relief from treatment. Then they took me to the another surgeon. He told me to admitted to the hospital. I was admitted to hospital for many days but I do not feel any good. Pain was unbearable. After that I was admitted in government medical college for 4 days. I was discharged but without any relief. They did not know what to do, at that time my brother got reference for Dr. Venkatesh Nevagi, Pain management consultant at Pain clinic of India, Goa branch. so my brother and my son took me at his clinic. 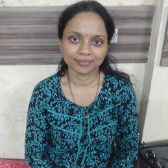 Dr. Nevagi gave only one injection - Epidural block and I felt better within four days. After few days he advised me to do Endoscopic discectomy - a stitchless surgery and I got it done. Right now I am so well and can walk as usual. I am really very happy and thankful. If you have similar problem Give Pain clinic of India a call !! I Anthony D'souza, 7years ago all of a sudden I had pain, tingling, numbness, burning sensation in my right side.MRI showed that I had some cysts in my spine , I was seen by top neuro surgeon in Hinduja Hospital , and I was told that surgery involves lot of complication, so I cannot be operated and was left on pain killers. life was not the same, it was miserable I couldn't sleep at night, due to the pain ,and all the symptoms, then I went to the massage therapy, there was no relief , only made it worse, last month my daughter took me to pain clinic of India as Dr.Das had recommended Dr. Kailash Kothari from Pain Clinic of India, Dr.Kailash examined me and wrote MRI and blood tests, All the tests were done in few hours. the next day I had my lumbar epidural done, it was such a relief ,as I was able to walk straight after so many years , after 2 weeks I had my cervical epidural done, After nearly 7 years I was able to sleep at night, and my pain is gone. I really appreciate Dr. Kailash Kothari and his wonderful team who took the effort to listen to my pain complaints and treat it accurately. In general when I went to Doctors they just wrote the pain killers, but I was so glad that in Pain clinic they found out the cause and also how to treat it from the root , not just superficially . So Thankful to God , for bringing me in contact with Dr. Kailash Kothari and the pain clinic. 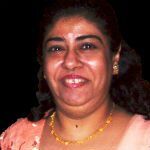 Dr. Kailash your profession is such a great work , there could not be anything great than taking away pain from the person who has been suffering for years. Thank you so much. God bless your hands with His Grace to care for many patients who have been suffering with pain. 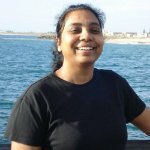 My name is Nancy, and I am a Registered Nurse working in St.John of God, Subiaco, Australia. 6 months back, I had having severe pain in my heel, which my GP Doctor said it was plantar fasciitis, and prescribed me pain killers. It didn't help me at all, one morning I couldn't keep my heel on the floor when I woke up, I had to see podiatrist urgently that day, He did acupuncture and strapped my foot for a week, pain was there , but it was less,but the day the sticky straps came out, pain was worse. 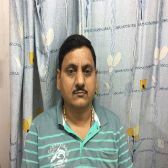 It was really bothering me as I work in operating theatre and it was difficult for me to stand even for few hours, I was on sick leave for few days, Finally I came on emergency leave to India, and I saw Dr.Kailash Kothari from Pain Clinic of India, Chembur, Dr. Das from Ireland had recommended Dr.Kailash to me. 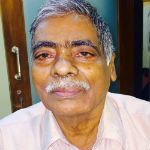 Couldn't imagine when I visited pain clinic of India Chembur, everything was so quickly diagnosed, Dr. Kailash wrote an Xray for me, which was done in an hour , and He could see the problem I had spur, which was causing pain, He gave me injection in my heel area. After injection I had pain for a week, and after that week, pain was completely gone. I work 10 hour shift for 4days in a week, and there is no pain. Thank You so much Pain Clinic of India for the excellent care and treatment . I really don't have words to express my gratitude. It means so much to me. Thank you seems like so little to say God Bless You Abundantly, Dr.Kailash and Pain Clinic of India. I am a BSF soldier posted in Kashmir in tough situations. I started getting severe shooting pain on my face in last 4months. I was not able to talk, ear, brush, even open my mouth during severe pain. I was having trigeminal neuralgia. On MRI I was told by neurosurgeons that my nerves is being irritated by a vascular loop. I was treated with medications which gave me good relief but in last one month I started getting pain again. I was given higher doses of medication and that caused lot of sedation and other side effects. I was referred. Y my neurologist to Dr Kothari at pain clinic of India. Dr Kothari informed me about treatment called RF Ablation which may give long term relief in my pain. I was advised some blood investigations and next day RFA was performed under local anesthesia. My pain is gone immediately post procedure. My mediCations were stopped. Now I can do my duty without any drug side effects. I am thankful to Dr Kothari and recommend the treatment to anyone having trigeminal neuralgia. I was having severe back and leg pain for 1year. I was not able to walk even few steps and felt weak legs. On MRI I was told by spine surgeons that my nerves are compressed due to slipped disc. I was advised spine surgery. I have seen very bad results with spine surgery in my friends and relatives so me and my wife were totally against it. I came across pain clinic of India through one of my friend who had similar problem and got completely cured with simple injections at PCI. When I met Dr Kothari, he gave me hope that the problem can be solved with injections and physiotherapy. I agreed and went for the injection immediately. Very next day I got injected (epidural injection). I immediately felt huge difference in my pain and functions. My pain was 90% less. I was put in physiotherapy for 2 weeks. It's almost 4 months now after the treatment, I am completely painfree, except some pain in the back on more exertion. I am thankful to team of PCI specially Dr. Kothari who gave me new Painfree life. Posted By : Mrs. Usha Sakhalkar. I was in excruciating pain in my both legs and knee since August 2016. I first consulted orthopedic surgeons. 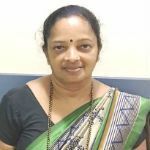 On examination and MRI scan he told me that I have canal stenosis and referred me to Dr. Manjiri Ranade at Pain Clinic of India, Thane. I am known diabetic patient and that time could not even walk for 5 minutes. All my routine daily activities were standstill. After exmaining me and my MRI scan Dr. Manjiri explained us in details about my disease and its treatment. She told me that I may need minimum 2 injections in my back near nerve root and platellet therapy for my knee pain. She also told me that I may get partial relief after first injection. With Dr. Manjiri's explanation and reassurance me and my family members were relived of our tensions and decided to follow he advice. I underwent first injection in last week of August 2016. Frankly after first injection pain relief was only 50% and I was slightly disappointed. But Dr. Manjiri and her team reassured me and I took second dose of injection (epidural cortisone) and platellet knee therapy after 6 weeks of first injection. In between did physiotherapy treatment with Dr. Priya at same place. With all this treatment after almost 2 months of first visit to pain clinic I am 90% better and still pain free even after 6 months of treatment. Now I can walk even for 45 to 60 mins without any discomfirt or pain. Before this I never knew about this kind of treatment. Now I tell all my family members about this treatment.Thanks to Dr. manjiri and her team at pain Clinic of India, Thane Branch for bringing my routine life back.